Lian Li has started to sell its new PC-O12 chassis for high-performance gaming desktops. The new mid-tower computer case from the company has an unorthodox construction that allows fitting in motherboards that are in the E-ATX form-factor, as well as two vertically mounted graphics cards and up to eight storage devices in a 2.5-inch form-factor. Despite the focus on the premium aspect of the design, a peculiarity of the PC-O12 case design is that liquid cooling is designed to only be used on the CPU, and it supports no more than two add-in cards. Following the latest trends in PC building, the Lian Li PC-O12 has multiple compartments for different kinds of components as well as multiple windows made of tempered glass for everyone to see what is inside. With its new chassis, Lian Li decided to go above and beyond with the number of chambers: one houses the motherboard, another accommodates up to two vertically mounted graphics cards and the third one is where the PSU (up to 230 mm) and up to eight storage devices live. 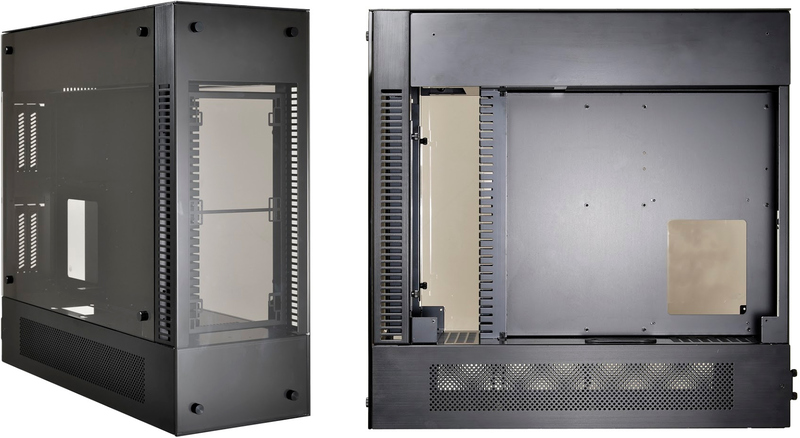 Three compartments in case of the Lian Li PC-O12 help to spread out multiple heat sources across the chassis, which somewhat simplifies cooling. What is important is that despite the triple-chamber design, the mid-tower case is not too wide for tall CPU coolers. 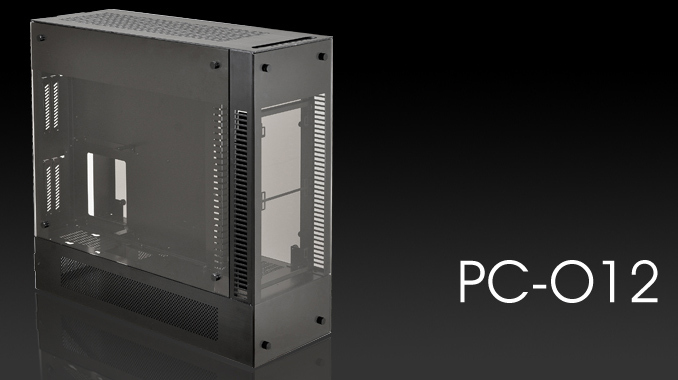 Like many contemporary PC cases, the PC-O12 can accommodate motherboards in the Micro-ATX, ATX and E-ATX form-factors. Meanwhile, graphics cards have to be installed vertically using riser cables into a different compartment simply because there is no space for add-in boards in the primary one. A good news is that length of the graphics cards does not matter for the PC-O12 — everything up to 340 mm (and possibly longer) is supported, but this configuration naturally poses a challenge for users who use add-in cards besides graphics adapters. Moreover, if two video cards are used, it is impossible to install a high-end audio board or any other card - only two AIBs can be installed into the PC-O12. Yet another challenge presented by the relatively thin dual/triple-compartment design is cooling. The maximum height of the CPU cooler supported by the Lian Li PC-O12 is 75 mm, which means that for CPUs from the higher end of the product stack only liquid cooling can be used since all advanced air coolers are higher than 100 mm (Scythe’s Big Shuriken 2 is an exception, but it is unclear how well it is going to handle chips with TDP of well over 100 W). Meanwhile, there is a special compartment for a 360-mm LCS radiator on top of the chassis (which can also be used to install three 120-mm fans) as well as frames to install two 120-/140-mm fans for air intake on the front panel. As the PC-O12 case from Lian Li belongs to its premium O-series family, the PSU and HDD/SSD mounts are equipped with rubber vibration dampers to reduce vibration and noise, whereas the bottom panel features removable mesh dust filters. The Lian Li PC-O12 is destined for Newegg, at $399.99. Going forward, the computer case will be available in other stores in different regions, but exact MSRPs are unknown.